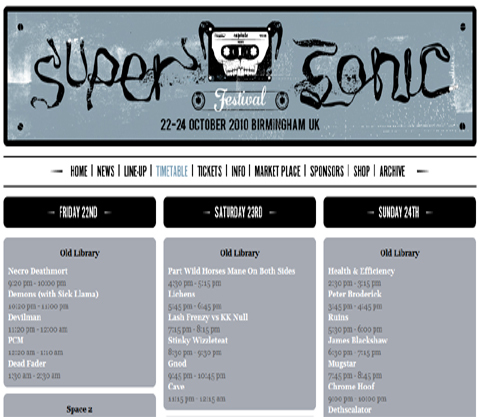 Supersonic Timetable & Twitter Feed. Supersonic is just two days away! The timetable is now online here , so you can get planning your weekend! If you take any photos at the festival, you can add them to our Flickr group. Be sure to tag them with the band name and Supersonic 2010. Finally, if you’re not able to make it to the festival, you can listen online to a number of live sets and shows presented by some pretty exciting guests on Rhubarb Radio.